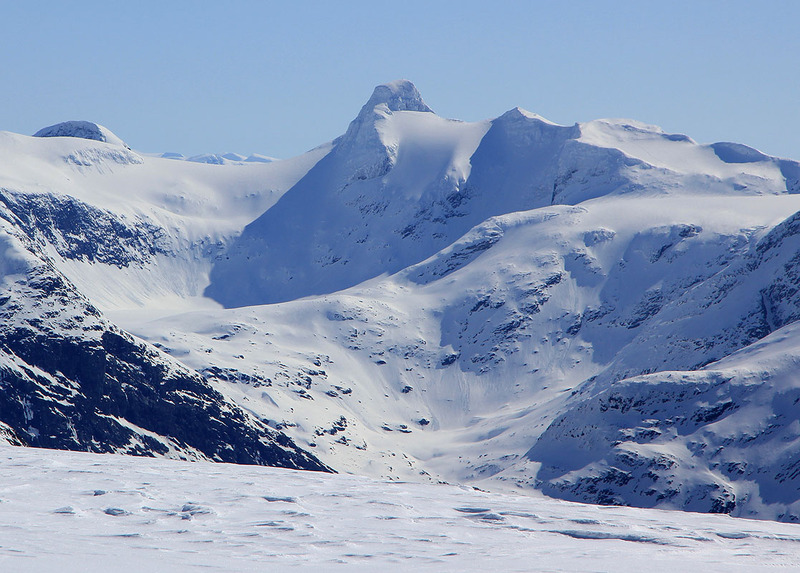 This mountain is best climbed from Olden or Loen, small touristic villages at the innermost end of Nordfjord. Ascend Avleinsfjellet and traverse across Skavteigfjellet. 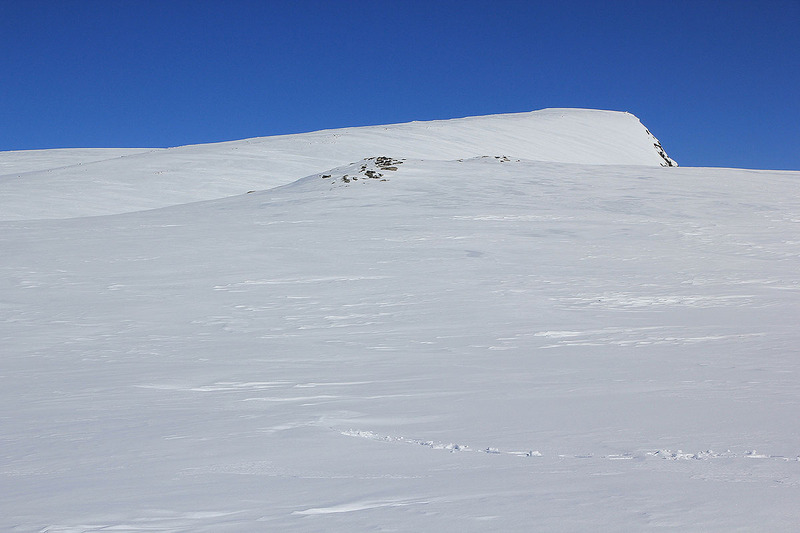 Descend steeply to the col and the narrow ridge that connects to Meleinsnibba. This ridge is called the Chinese Wall. 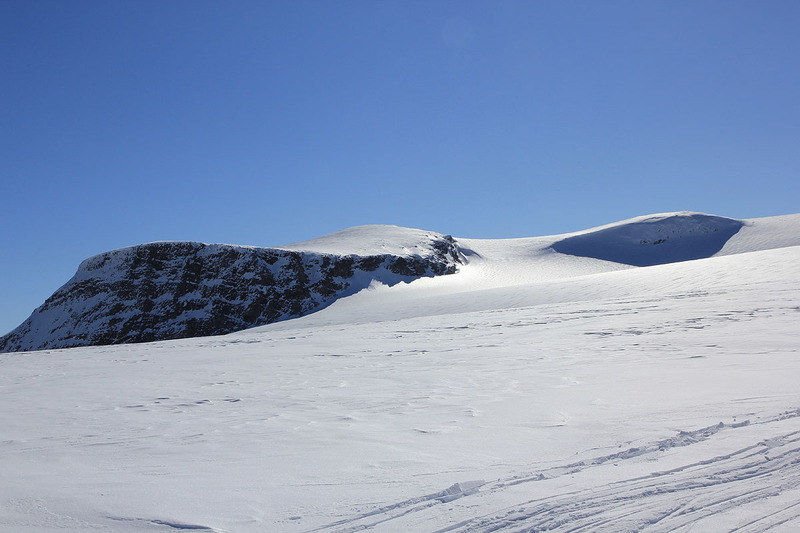 With good conditions, ascend directly up the Chinese Wall, otherwise descend right fairly early on the ridge, traverse up the steep glacier and access the summit of Meleinsnibba from its west ridge. From Ramnefjellbreen, the skiing down to the col connecting with Meleinsnibba is nice. The final climb is also quite good for skiing. 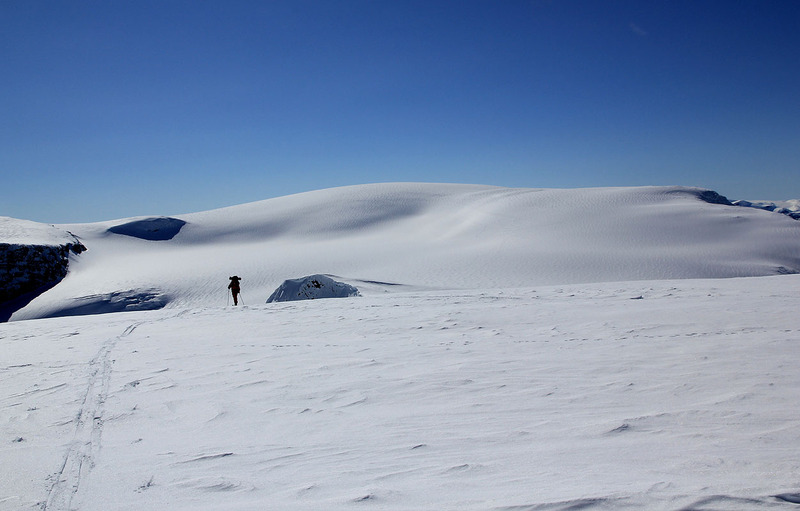 This is the last mountain on the Loen Rundt trip with guaranteed prominence exceeding 100 meter. The next top may be just shy of 100 meter prominence. Be careful with the next section of the route. The Chinese Wall is steep and has exposure. The bypass on the west side traverses a glacier that is steep enough to carry avalanche danger. The next peak is Skavteigfjellet. 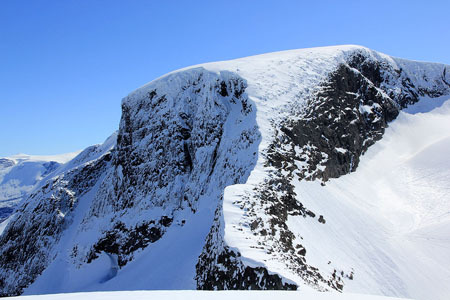 I climbed this mountain as part of my Loen Rundt ski trip with the Bergen Mountaineering Club. Meleinsnibba, as seen when coming from Ramnefjellbreen. 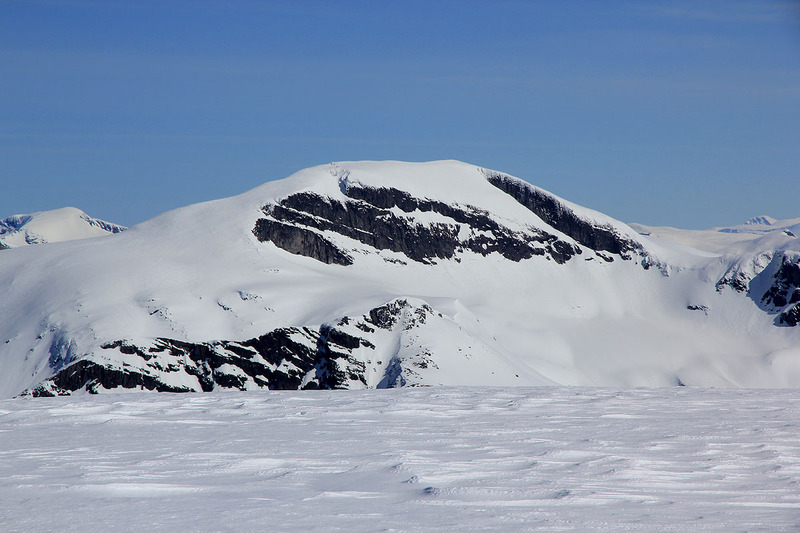 Ramnefjellbreen, as seen from Meleinsnibba. Skåla, as seen from Meleinsnibba. Skier ascending Meleinsnibba, Ramnefjellbreen behind.